Your mental health is just as important as your physical health. Unfortunately, there is not a pill or a syrup that can cure a mental illness. At Dr. Eliana Cohen Psychology, we put your mental health above all else and we do the best we can to provide you with the help that you deserve. Dr. Cohen and her associates specialize in numerous mental health conditions in addition to providing guidance for relationship problems. If you feel that it is time to seek help, the psychologists at Dr. Eliana Cohen Psychology are more than happy to meet with you. Browse our website to learn more about our services and contact us today to schedule an appointment. Your mental health can be easy to overlook, and this can lead to some more serious problems. 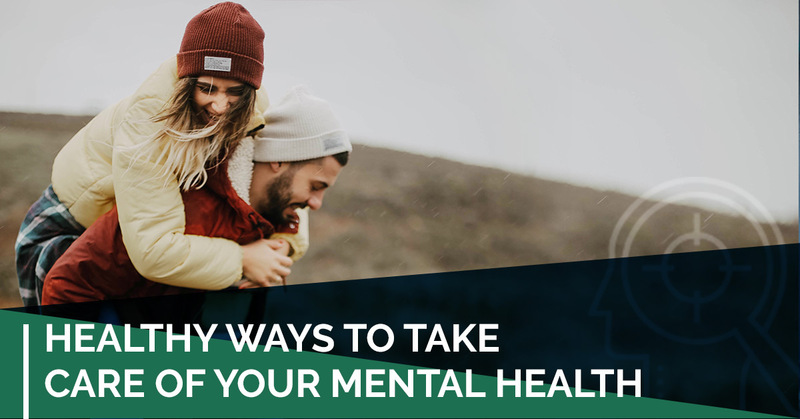 It’s important to take care of yourself, and in today’s post, we will highlight some things you can do to support your mental health. While it may be easier to ignore your feelings and bottle them up, you’re actually doing a disservice to your mental health. When you put a voice to what you’re feeling, it helps you to feel better, and if you voice your feelings to a trusted friend or family member, it will allow you to feel as though you are less alone in the situation and you may even end up working out the problem. Remember, it’s okay if you can’t put just one word to how you are feeling. Emotions are complex and feeling a mixture of them as opposed to just one is common. Those who have a strong support system typically are healthier than those who do not. Try to surround yourself with people that you enjoy spending time with. Even if a lot of human interaction is not how you would like to spend your time, try spending time with people as much as you can tolerate, even if it is just one friend at a time. Ask people to hang out, visit your family, or if you’re not in a situation where you can easily meet people, join a club or take a class. Just as it’s important to surround yourself with good people, it’s equally as important to eliminate the toxic people from your life. You want to be around people who bring out the best version of yourself and make you feel supported. If you’re constantly with someone who puts you down or makes you feel inferior, those toxic emotions could take a toll on your overall mental health. While it may be difficult to break things off with a toxic person, you will thank yourself later. Your daily routine is what keeps you going most days. However, the monotony of doing the same thing day after day can not only get boring, but it can be detrimental to your mental health. Do yourself a favor and switch things up every once in awhile. Instead of going for a jog around your neighborhood, jog in the park, or try a new restaurant. Even the littlest things can help to break up the monotony and give your body a much-needed refresh. If you’re feeling really bold, you can do bigger things like go on a road trip or cross something off your bucket list. Though you may feel like getting help is a sign of weakness, seeking help is actually a sign of strength. It takes a lot of courage to not only recognize that you need help, but to ask for it as well. Many people choose to suffer in silence, which as a result will make the problem worse. By seeking help, you show the strength to tackle the problems you face and move past them. If you think it is time for you to get the help you need, the psychologists at Dr. Eliana Cohen Psychology are here to give you the treatment you deserve. We specialize in relationship counseling as well as a variety of mental health issues. Learn more about our services and contact us today to schedule an appointment.